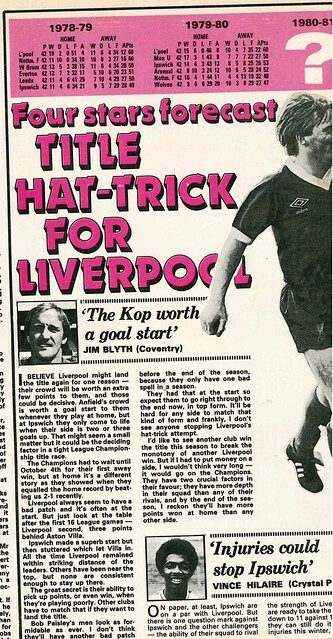 As you open the magazine, four top flight stars – Vince Hilare, Joe Blyth, John Craggs and Brian Horton are interviewed on the title race, and they all expect Liverpool to win their 3rd successive title in 1981. They finished 5th as Aston Villa won the title. 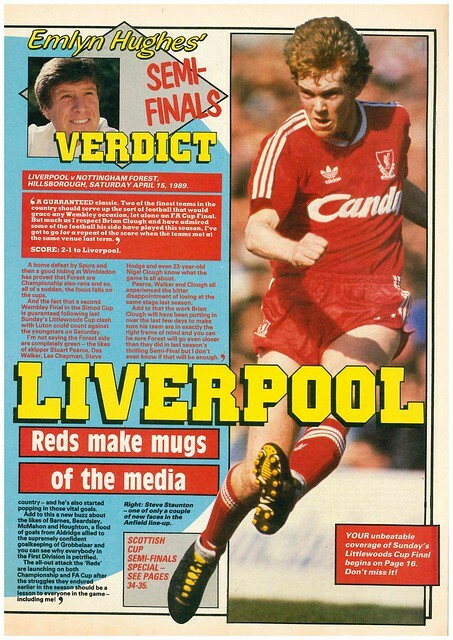 Winning the European Cup made up for it though. It’s the Quarter-Finals of the League Cup, and Shoot predicts a last four line-up of Liverpool, Coventry, Spurs and Man City. 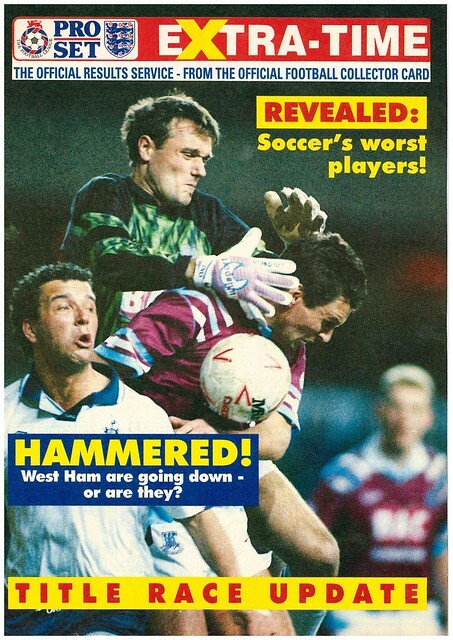 Three out of four were right, with West Ham beating Spurs the only one they got wrong. Newly appointed QPR manager Terry Venables is interviewed, stating that he is wary of making too many changes. 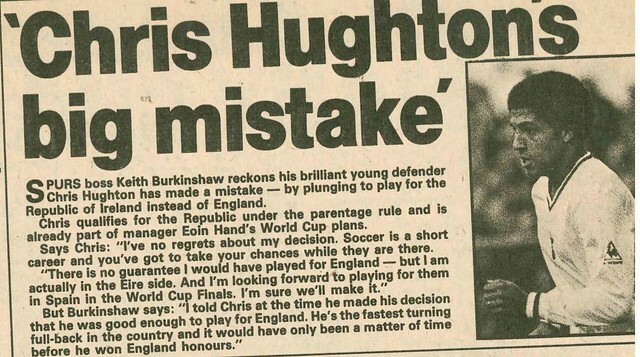 In news, Tottenham Hotspur manager Keith Burkinshaw believes that Chris Hughton has made a mistake by choosing to play for Republic Of Ireland instead of England, while Blackpool manager Alan Ball expects Colin Morris of Blackpool to be a million pound player some day. 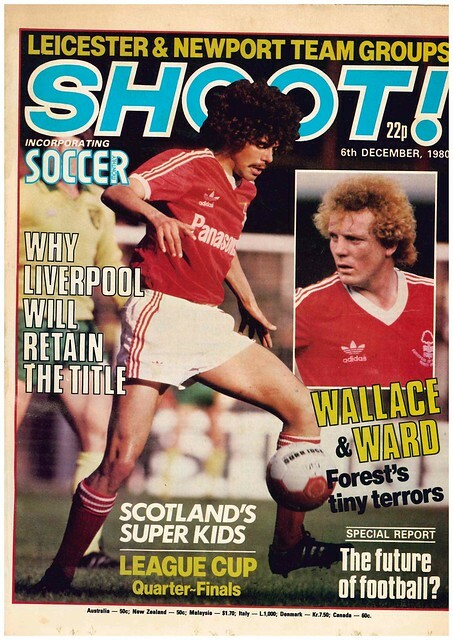 Cover stars Ian Wallace and Peter Ward get a feature, as their role at Nottingham Forest is changing football as the days of lumping it up to the big man are now over. 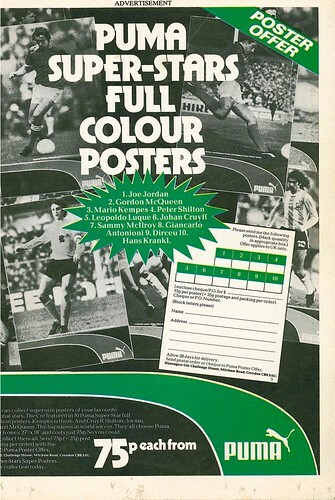 In posters, there was a Newport County team poster, while Trevor Francis and David O’Leary are advertising Adidas and Mitre. 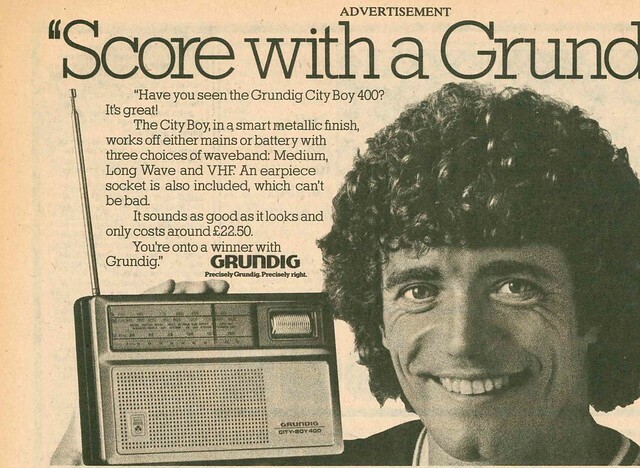 In adverts, Kevin Keegan is flogging Grundig radios, and the England squad are flogging Trebor Mints. 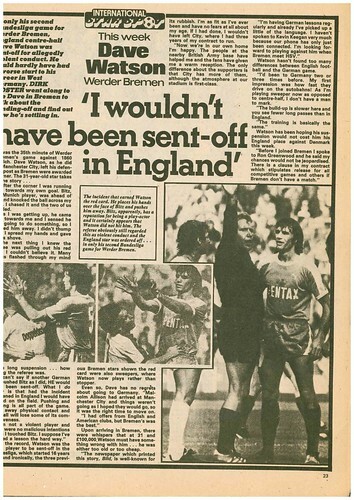 There is a full page profile of Bernd Schuster’s protracted move from Cologne to Barcelona, with a chronological diary of events. 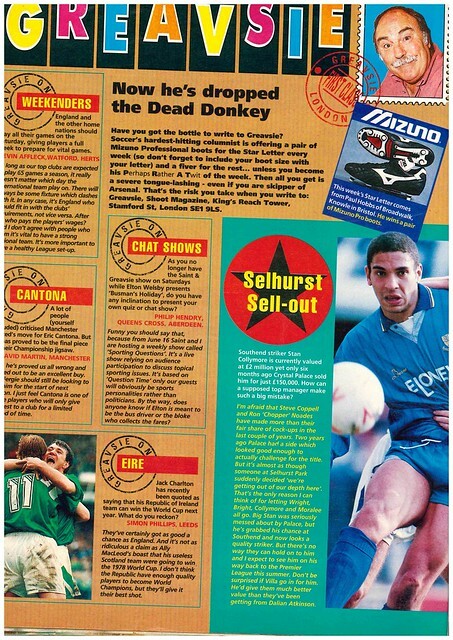 Leicester City get a full page club profile. 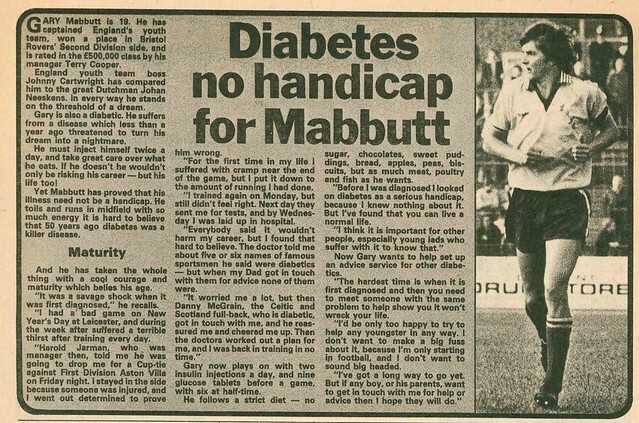 Gary Mabbutt gets a profile after overcoming Diabetes to break into Bristol Rovers team. 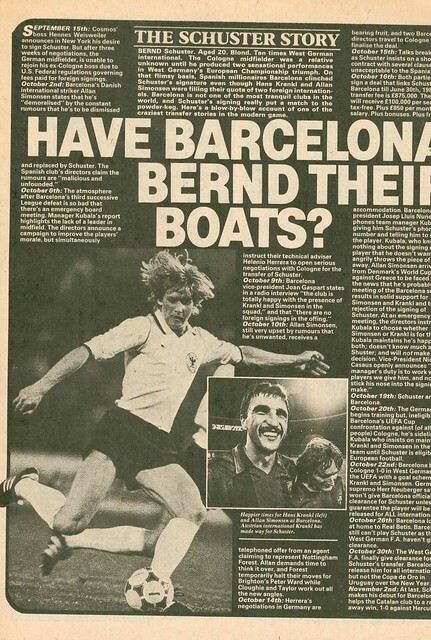 Shoot asks four top flight players what foreign league they would like to play in if they were to leave England. 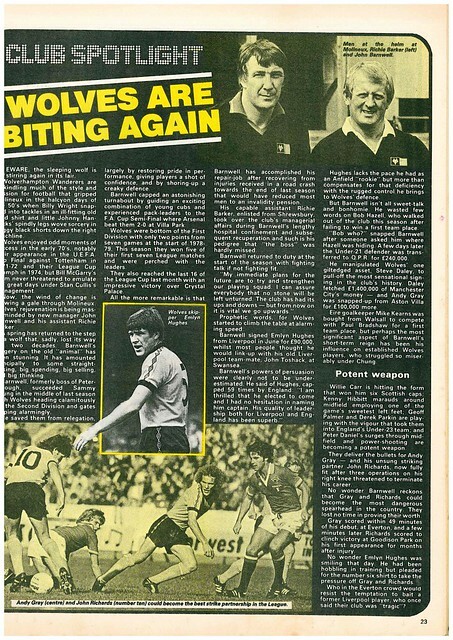 Joe Jordan would like to play in West Germany (he would eventually play in Italy), Eric Gates wants to play in Spain, Peter Barnes believes Argentina would suit him, while Craig Johnston wants to play in West Germany, before returning to Australia. 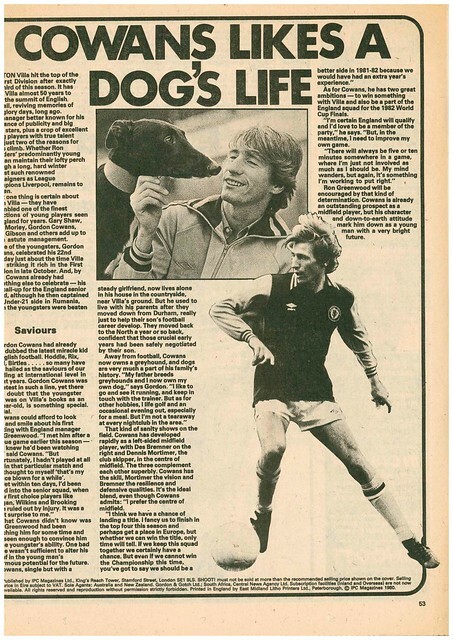 Talking of the 1982 World Cup, Gordon Cowans hopes to be in England’s squad for it, as well has having a title medal to his name with Aston Villa. 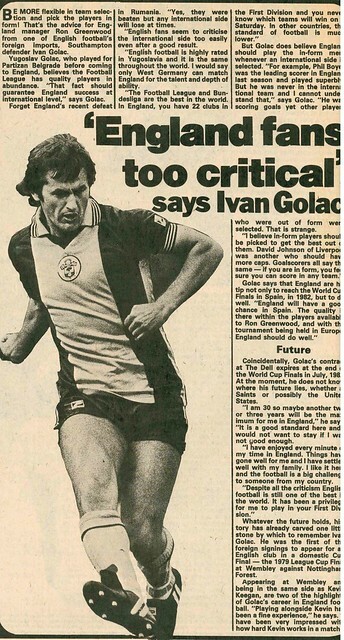 England are offered some advice from Southampton’s Yugoslav defender Ivan Golac, who says that England fans are too critical of their team. 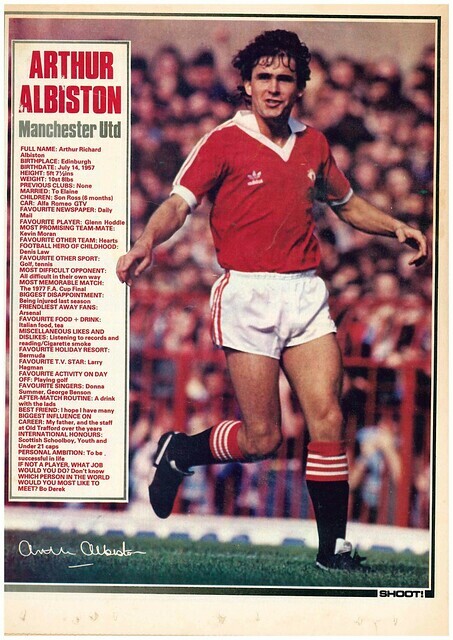 The magazine ends with a profile of Arthur Albiston, who lists his favourite singers as Donna Summer and George Benson. 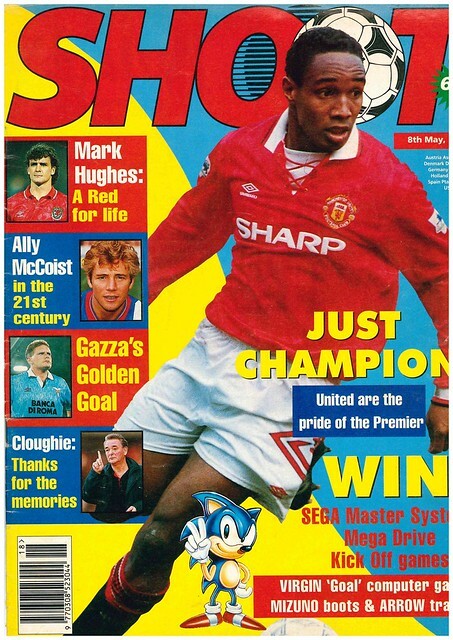 Paul Ince, accompanied by the headline “JUST CHAMPION!” is the cover star of Shoot, as Manchester United have just won their first league title in 26 years. 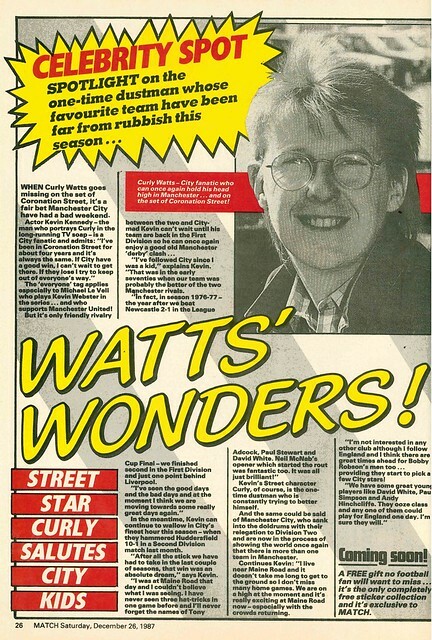 The title success must have come too late for Shoot’s printing deadlines, as there was no features about it in the magazine. 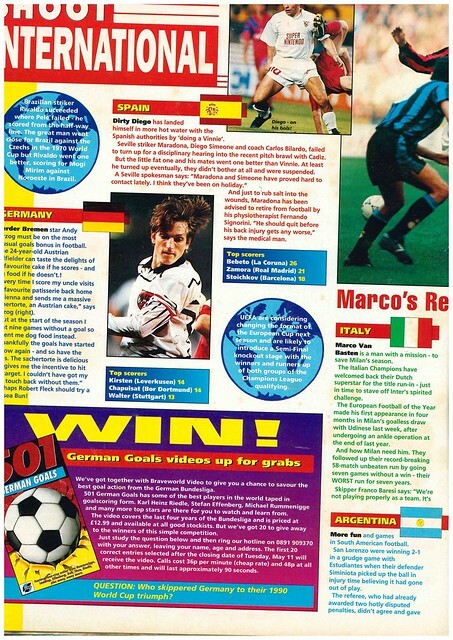 On the inside cover, there is a poster of three of Juventus stars – Roberto Baggio, Gianluca Vialli and Roberto Baggio. 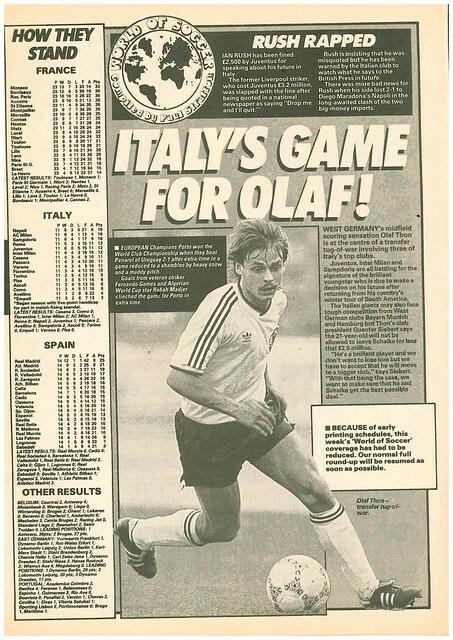 Curiously, Baggio was pictured in action for Italy. 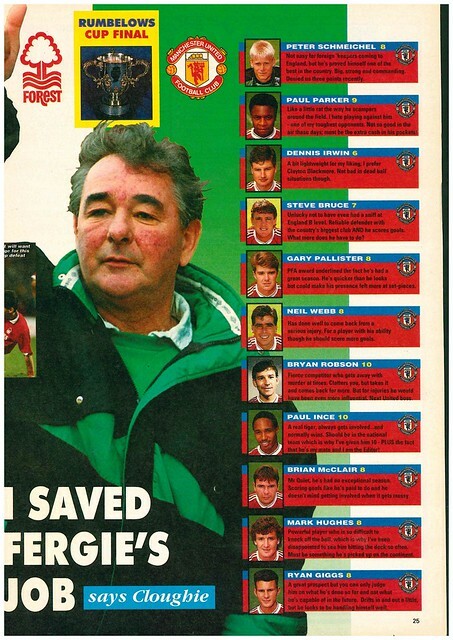 In news, Brian Clough has announced his retirement, and Shoot prints various tributes from players and managers. Crystal Palace returned a lot of their allocation of tickets for the FA Cup Final, with Chairman Ron Noades requesting that the FA redistribute them equally to fans of the two finalists, Arsenal and Sheffield Wednesday. Coca-Cola’s official statistics pack for the Coca-Cola Cup (League Cup) Final listed Sheffield Wednesday’s Chris Bart-Williams as Chris Bart-Simpson. Cyrille Regis could be heading back to West Brom after being free transferred by Aston Villa. There are rumours of departures at Manchester City, with Niall Quinn (Porto), David White (Aston Villa) and Keith Curle (Sheffield Wednesday) all attracting interest from other clubs. Manager Peter Reid could also be on the move, as his friendship with Liverpool Chairman David Moores could make him a candidate for the manager’s job at Anfield if Graeme Souness is sacked. Reid was sacked by City in August after a poor start to the following season. Aston Villa Chairman Doug Ellis has refused to allow Villa Park to be used to host a testimonial game for the club’s European Cup winning manager Tony Barton. Barton died in August that year. Liverpool and Leeds began the season at Wembley in the Charity Shield, and endured miserable seasons. 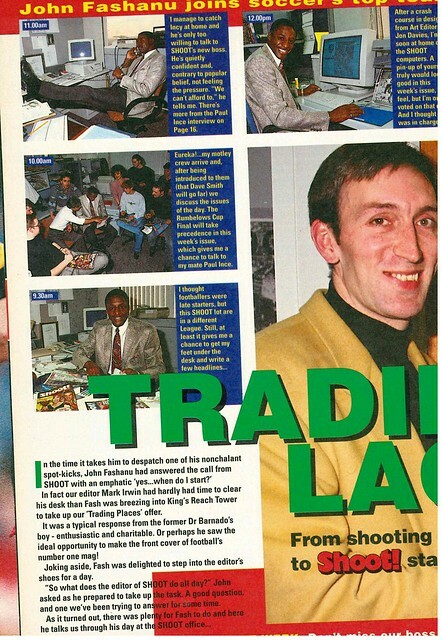 Shoot gives two pages looking at where it went wrong for them both. Colin Cooper has told Milwall he doesn’t want to be sold. 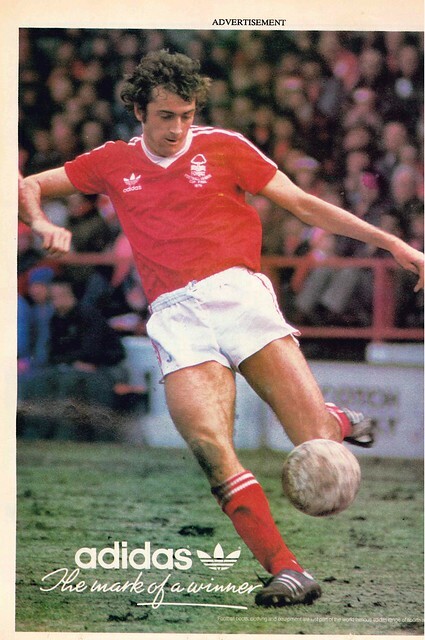 He was that summer, to Nottingham Forest. 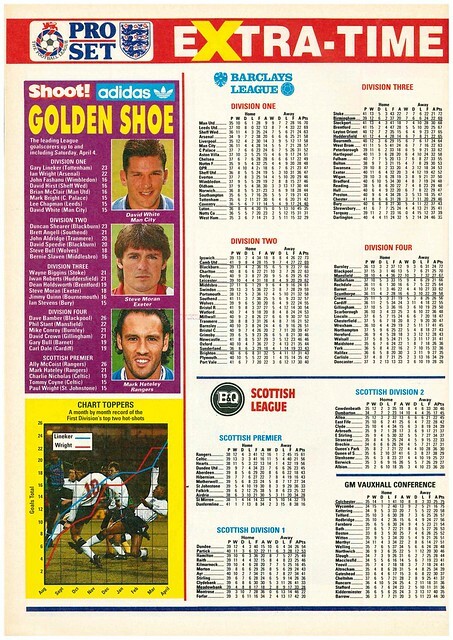 Ally McCoist, already scored 50 goals this season, gets a double page tribute. Stoke City, promoted from the Second Division (Third Tier) get a feature, where they already have ambitions of reaching the Premier League. They wouldn’t achieve it until 2008. 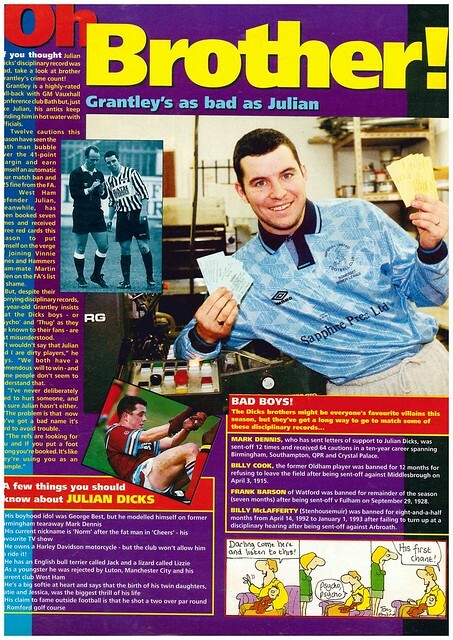 Grantley Dicks of Bath City gets a feature, mostly about his disciplinary record which matches that of his brother Julian. 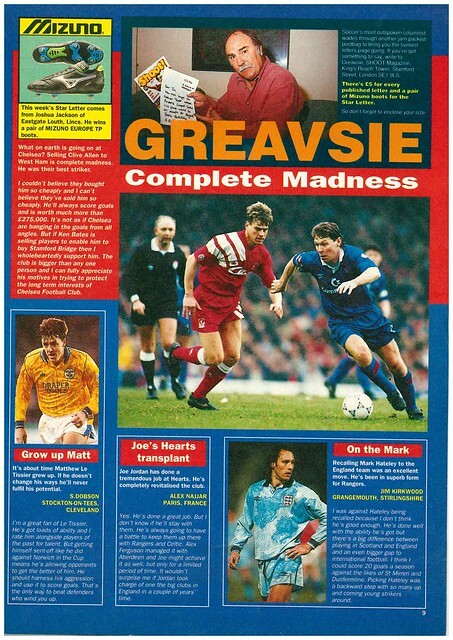 Jimmy Greaves letters sees him admit he was wrong that Eric Cantona would be a bad signing for Manchester United, and announce he will be co-hosting (with Ian St John, of course) a show called Sporting Questions, a sporting version of Question Time. 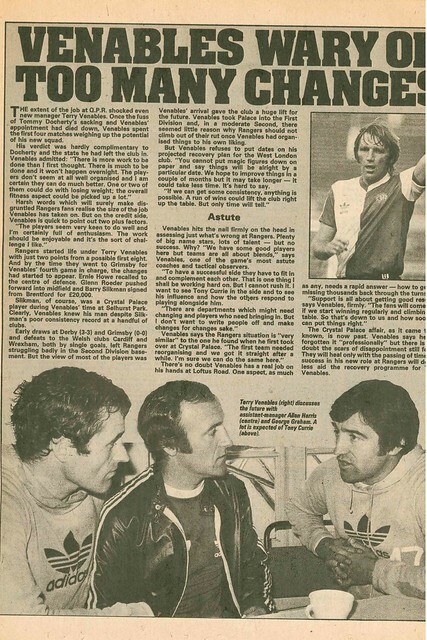 In foreign news, Andy Herzog has a curious goalscoring motivation – his uncle sends his Austrian cakes when he scores, and dog food when he doesn’t. Marco Van Basten has given AC Milan a boost by returning in time for the title run-in, while in Spain, Sevilla’s two Diegos – Simeone and Maradona are in trouble for not attending a Spanish FA disciplinary hearing after a brawl against Cadiz. 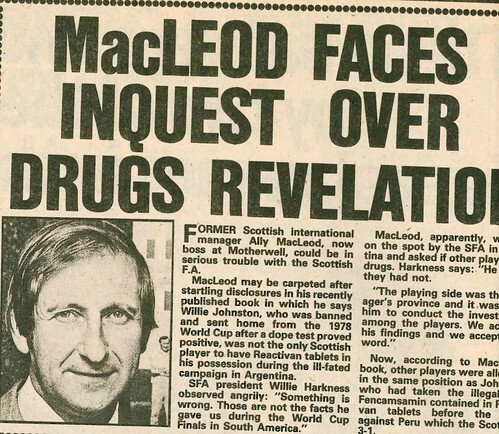 Both players were believed to be on holiday. 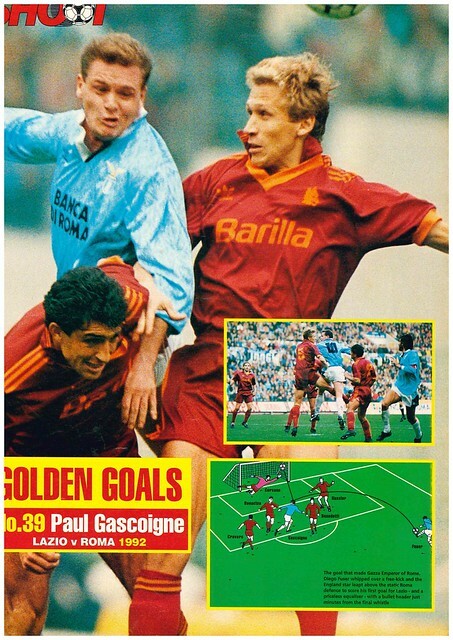 The was also a competition to win a VHS of 501 German Goals. Peter Ndlovu gets a two page feature, focusing on his travels to play for Zimbabwe in World Cup and African Nations Cup Qualifiers. 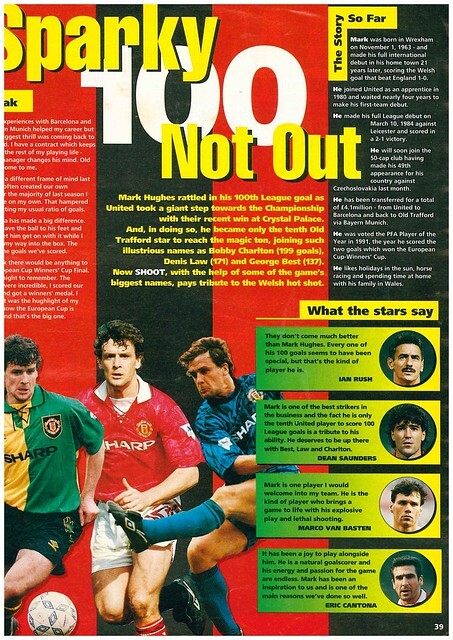 Mark Hughes gets a double page feature, with tributes from team-mates and opponents, having become the 10th player to score 100 goals for Manchester United. 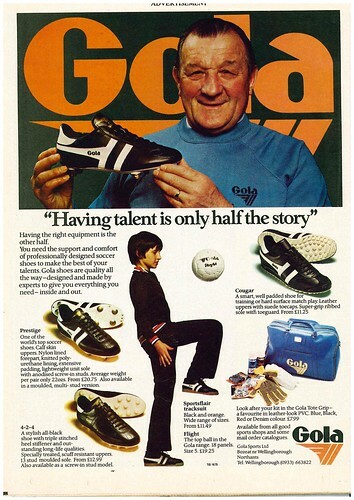 He would have another milestone coming up, having just won his 49th cap for Wales. Scotland have suffered their biggest defeat in 18 years and are certain to miss their first World Cup since 1970. Staying in Scotland, Jimmy Nicholl has announced his retirement from playing to concentrate on managing Raith Rovers. Nicholl had been linked with the Northern Ireland manager’s job, as Billy Bingham was expected to retirement in the summer of 1993. 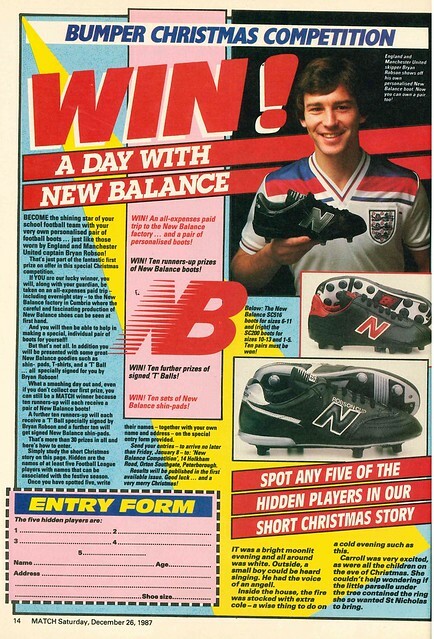 Bingham did retire in November 1993, and Nicholl was interviewed for the post but was unsuccessful. 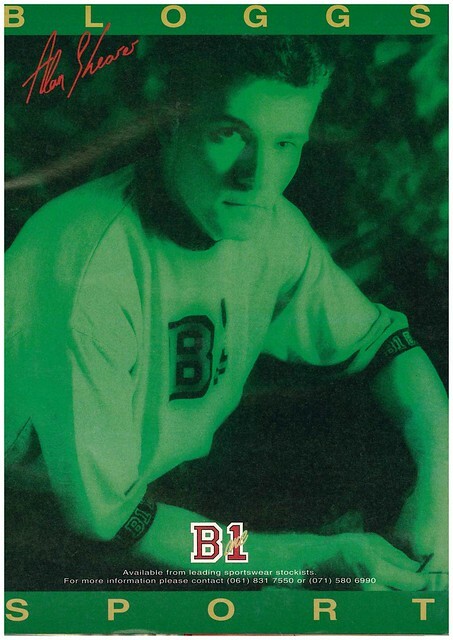 He tried again in 2004, and was again unsuccessful. Linfield v Glentoran polled 2%. 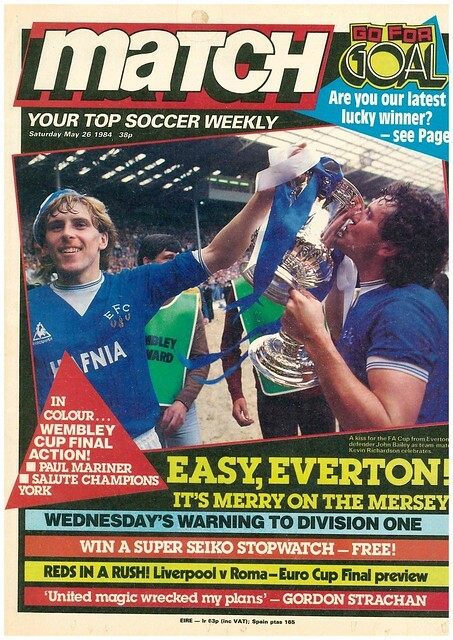 Kevin Richardson and John Bailey are the cover stars of Match, which reviews the FA Cup Final, won by Everton by 2-0 against Watford. 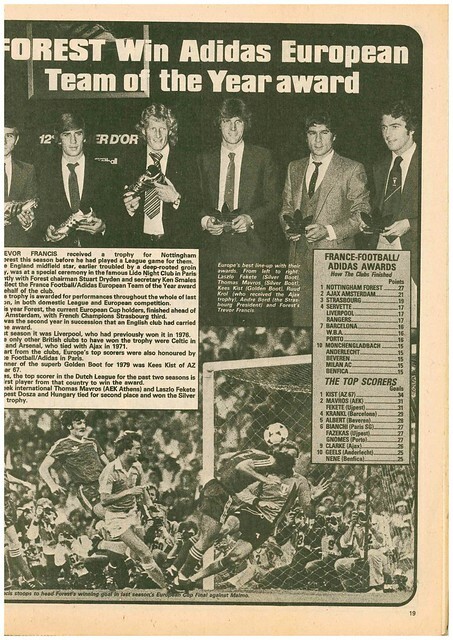 Winning the FA Cup wasn’t enough for Everton captain Kevin Ratcliffe, who wanted this to be the springboard for a league title triumph. 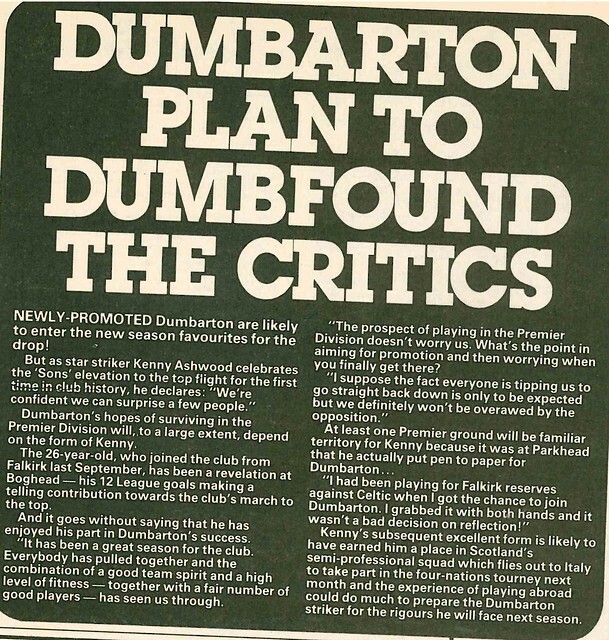 In Scotland, Dumbarton have been promoted to the top flight for the first time, with star striker Kenny Ashwood confident his side can shock a lot of people. 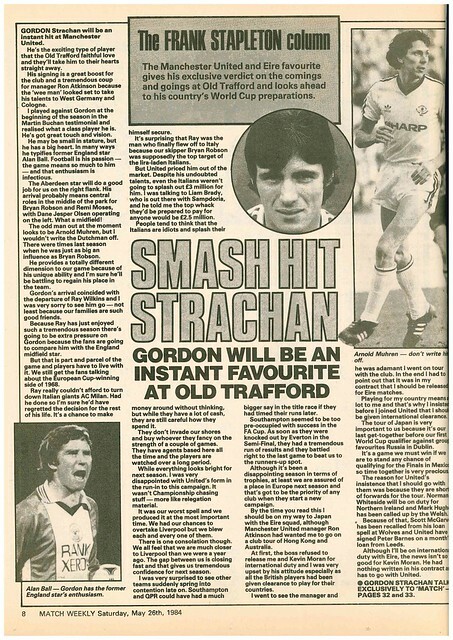 One player leaving Scotland is Gordon Strachan, having left Aberdeen for Manchester United, and United striker Frank Stapleton uses his column to predict that Strachan will be an instant hit at Old Trafford. 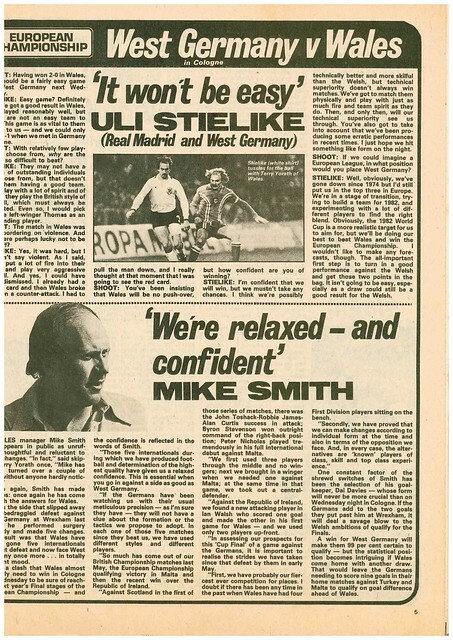 Match’s preview of Euro 84 continues with Spain this week’s profiled team. After an absence of 14 years, Sheffield Wednesday are back in the top flight, and midfielder Gary Shelton warning First Division sides not to underestimate them. 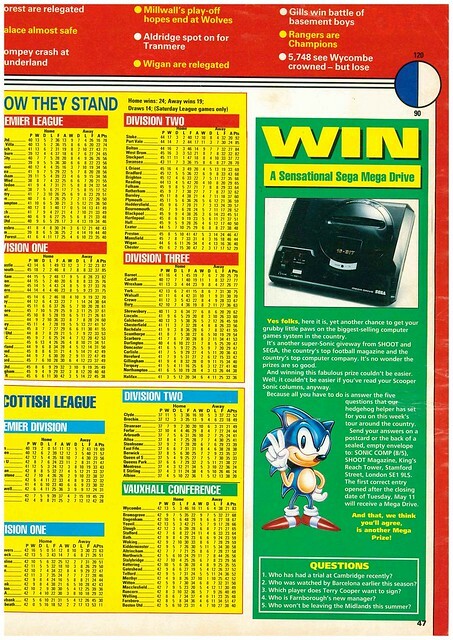 There is a double page picture special on York City, who won Division Four with more than 100 points. 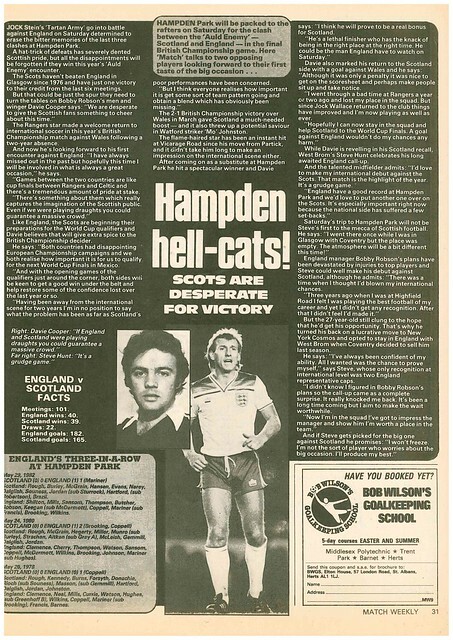 England face Scotland at Hampden Park in the British Championship, and this match gets a full page profile. 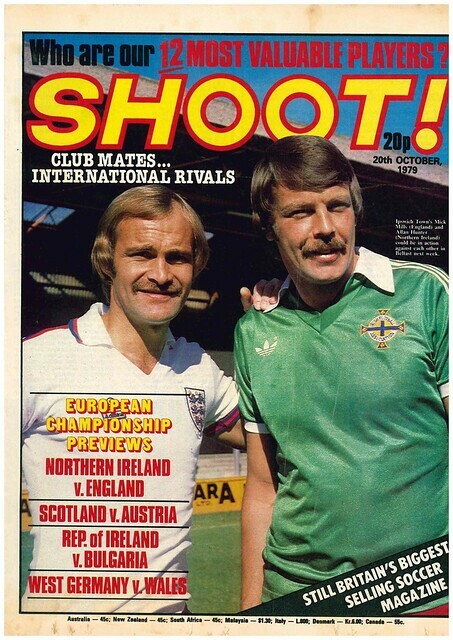 Northern Ireland are also in action, heading to Finland in their first 1986 World Cup Qualifier. 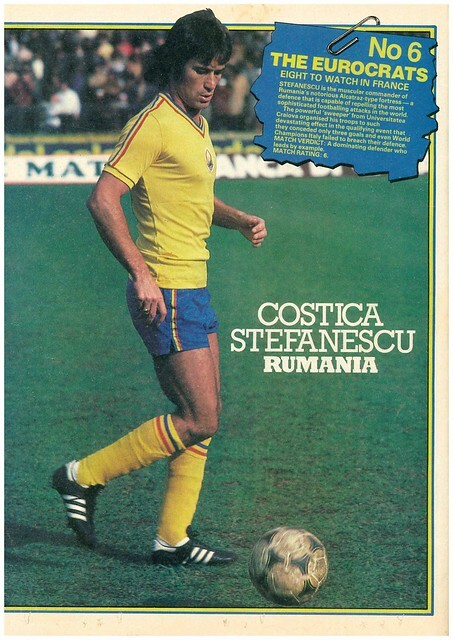 The magazine ends with a poster of Costica Stefanescu of Romania ahead of the build-up to Euro 84. 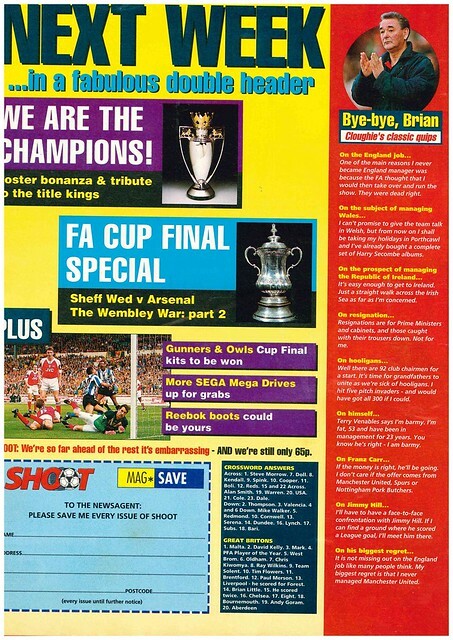 Teddy Sheringham is the cover star of an edition of Shoot edited by John Fashanu, looking forward to the League Cup Final between Nottingham Forest and Manchester United, with United represented on the cover with an inset photo of Mark Hughes. Curiously, Sheringham and Hughes were on opposing sides in the League Cup Final a decade later, with Hughes being on the winning side in both games. 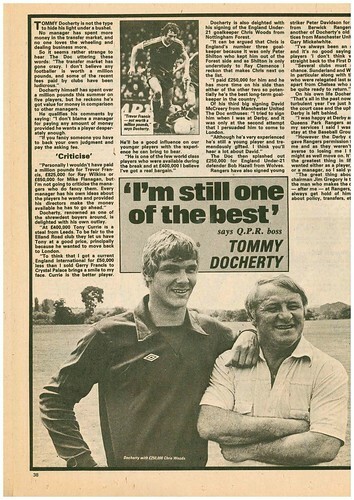 Gordon Strachan hits back at critics of the quality of English football by listing six players that are top quality – Roy Keane, David Hirst, Carlton Palmer, Alan Shearer, Rob Jones and Andy Sinton, revealing that Ron Atkinson was looking at signing Jones when he was United manager. 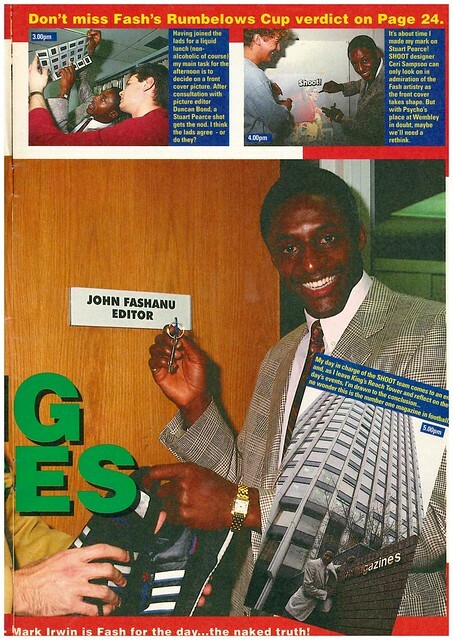 John Fashanu gets a double page feature where he guest edits Shoot. In letters, one reader thinks it is time for Tim Flowers to be given a chance for England. 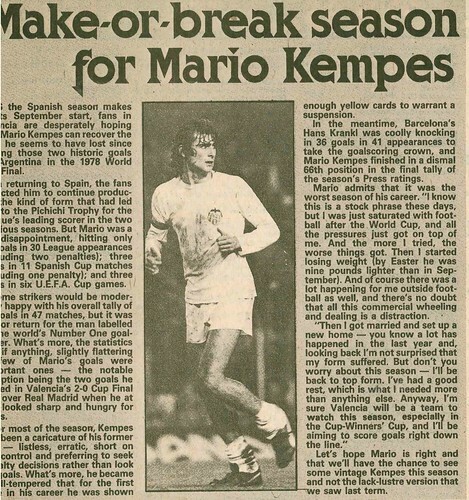 In international news, it’s all about departures, or possible departures, with Hugo Sanchez possibly leaving Real Madrid, Darko Pancev leaving Red Star Belgrade for Inter Milan and Sven Goran Eriksson leaving Benfica for Sampdoria. 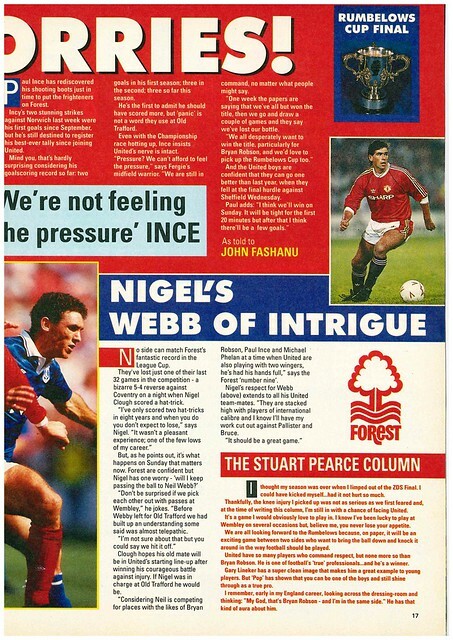 Shoot dedicates 8 pages to the League Cup Final with interviews with Paul Ince, Mark Hughes, Nigel Clough and Andy Marriott. 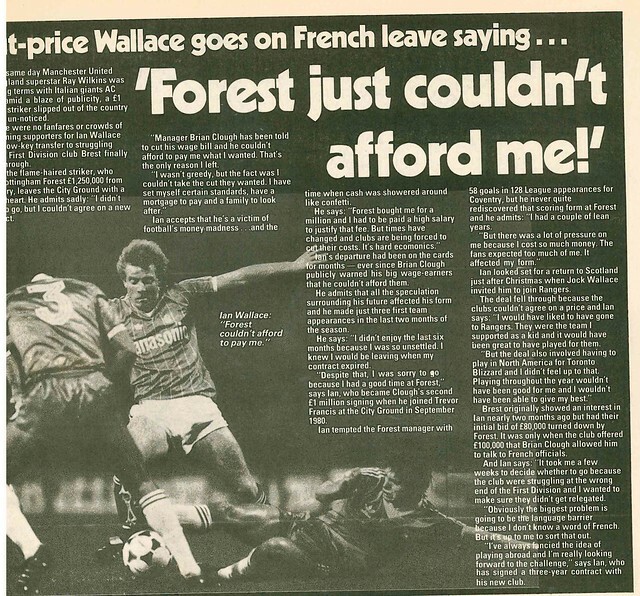 Guest editor John Fashanu gives his verdict, a victory for Nottingham Forest. Manchester United won 1-0. 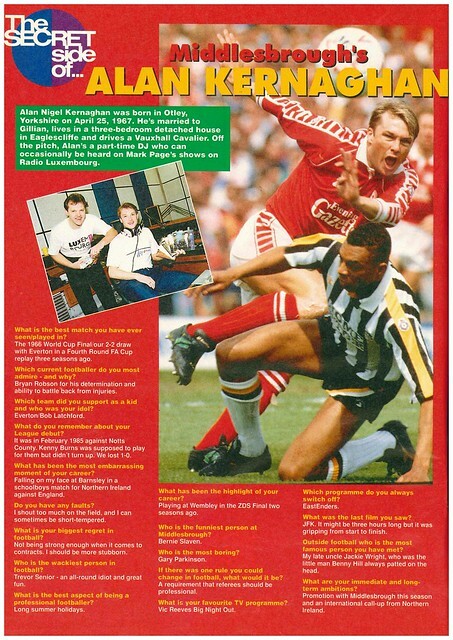 Middlesbrough defender Alan Kernaghan is interviewed, wanting promotion to the top flight and a Northern Ireland cap in 1992, while revealing that he most famous person outside of football he has met was his late uncle, Jackie Wright, Benny Hill’s sidekick. 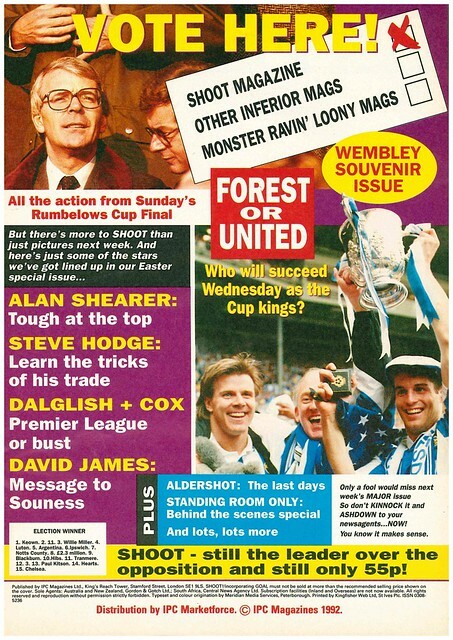 Nottingham Forest are the cover stars of this week’s edition of Match, having won the League Cup. 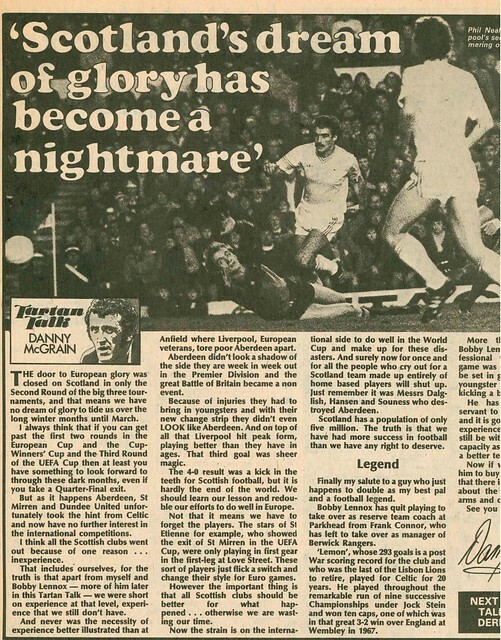 They’re in cup action this week in the FA Cup, facing Liverpool in the Semi-Finals, a match that would sadly be remembered for the tragic events that happened in the Leppings Lane terraces. 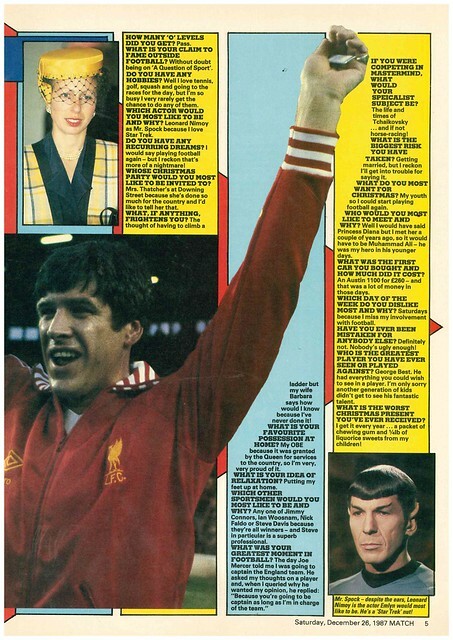 That match got a double page preview, with Match columnist Emlyn Hughes predicting a 2-1 win for Liverpool. 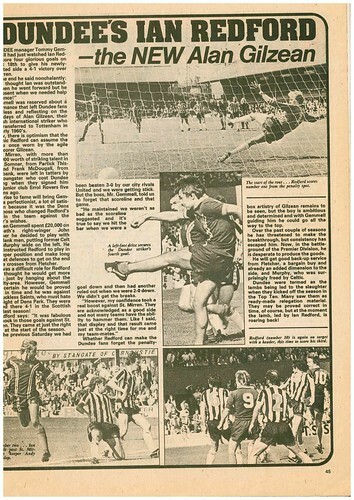 For the record, when the match was rearranged, Liverpool won 3-1. 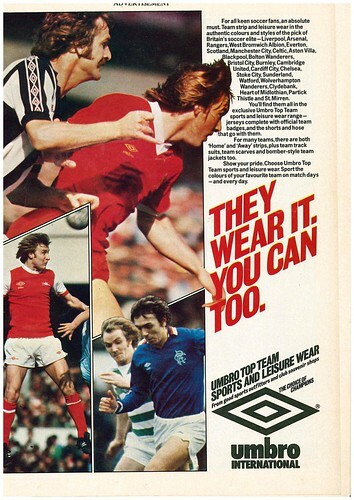 Hughes also previews the other Semi-final between Everton and Norwich, predicting a 2-0 win for Everton. Everton won the game 1-0. 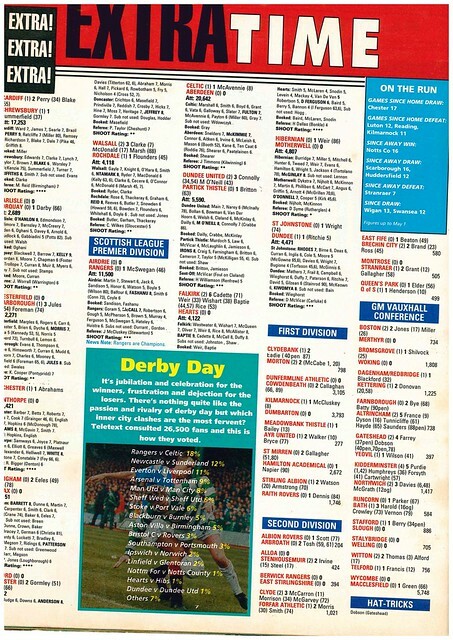 It’s also the Scottish Cup Semi-Finals, with Hibs facing Celtic. 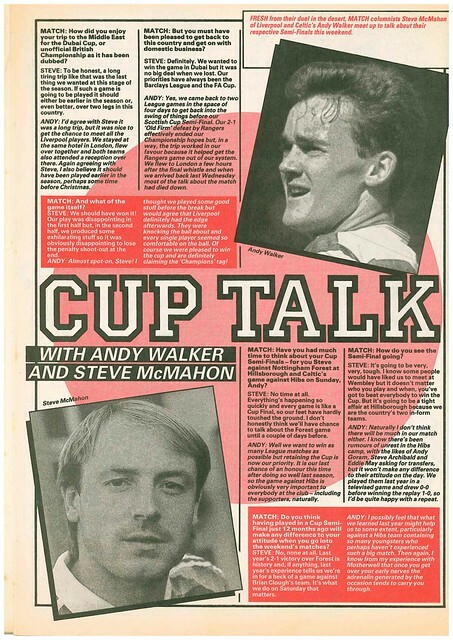 Hibs new signing Keith Houchen has cup pedigree, albeit in England, where he scored for Coventry in the FA Cup Final just two years earlier..
Celtic had just returned from Dubai, where they faced Liverpool in an unofficial British Championship, as both sides were defending champions, and Match does a joint interview with Andy Walker and Steve McMahon. 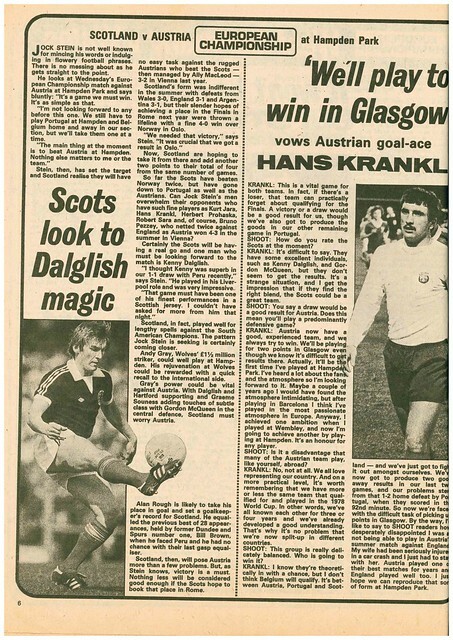 For the record, Celtic won that match on penalties after a 1-1 draw. 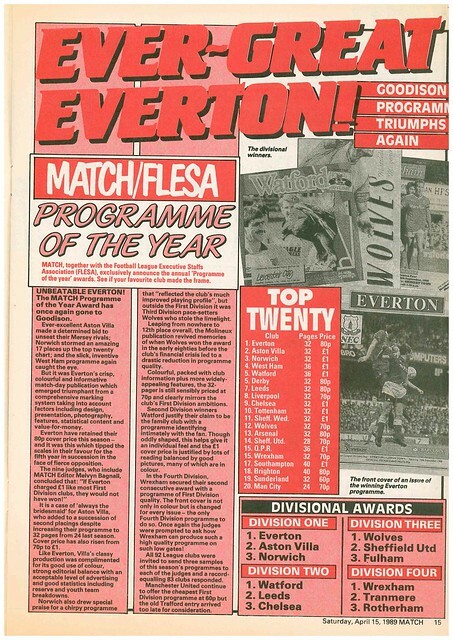 Battling it out for the FA Cup, Everton have already won one trophy, with Match voting them Programme Of The Year. 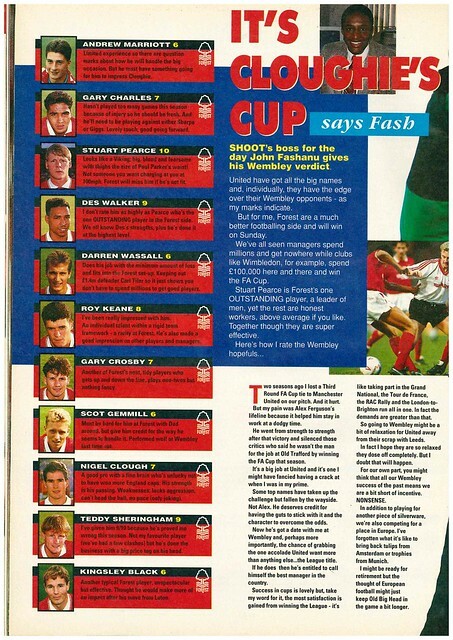 Nottingham Forest’s win over Luton in the League Cup Final gets a double page spread, as well as a double sided poster. 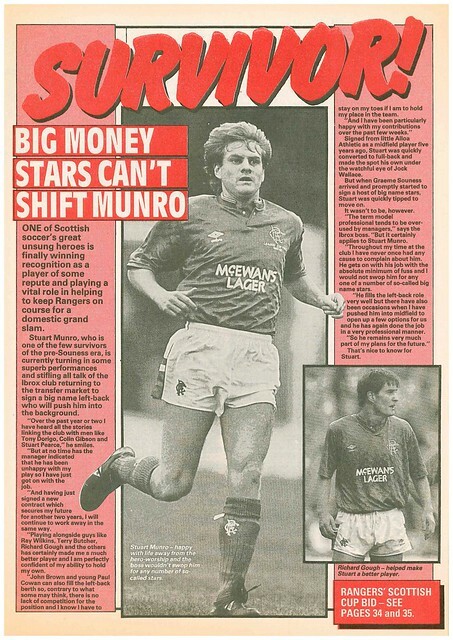 Stuart Munro gets a profile, being a regular in the Rangers team despite being linked with moves for Tony Dorigo, Stuart Pearce and Colin Gibson. 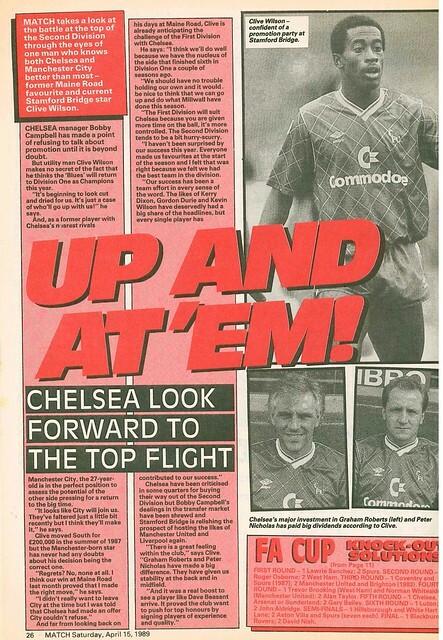 On the verge of promotion to Division One, Chelsea get a full page profile, and interview with Clive Wilson. As well as winning the League Cup, Nottingham Forest win another trophy, as Match gives them an award for having the best disciplinary record in English football. It’s been a year, and the opening rounds of European competition are drawn tomorrow, with Irish League teams joining the action, so it’s a good time to update my pursuit to complete a rather pointless list. You may have noticed the new title – further research has indicated that 101 clubs, not 100 have played in a European Final. 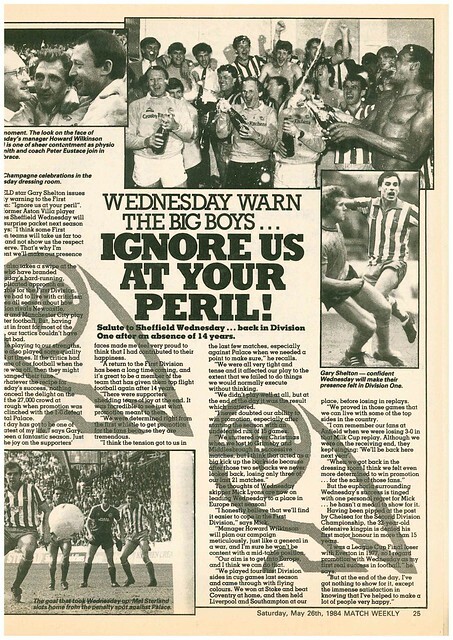 It’s not my fault, I was basing it on the When Saturday Comes article that inspired it, which at the time of writing said 99 clubs had reached a European Final, with the next one being the 100th. 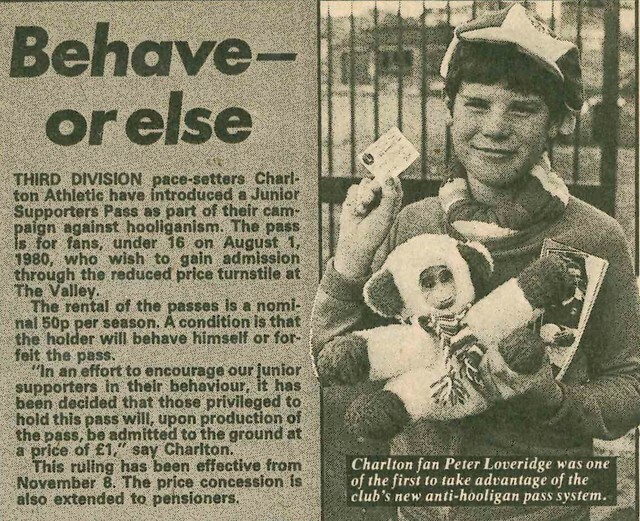 Turns out, there had already been 100 clubs. Since you ask, the honour belongs to Fulham. 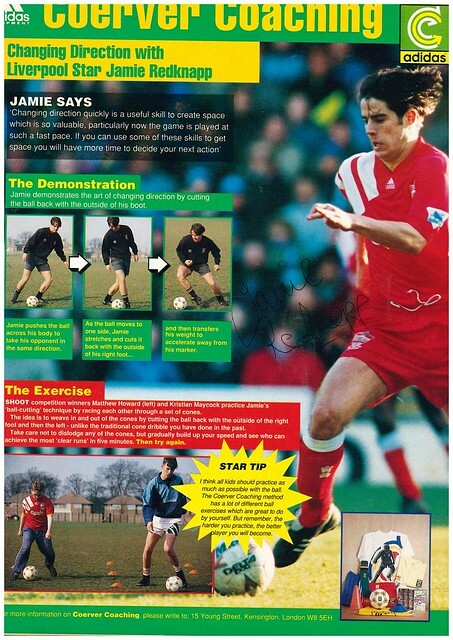 So, what is the UEFA 101 Club? Well, 101 clubs have played in the final of one of European football’s three competitions (European Cup, European Cup Winners Cup, UEFA Cup) and there are people who try to see every team play live in person. I’m doing it just for fun, but if I win the lottery, I might start taking it a bit more seriously. Living in Northern Ireland, you’d think it would be hard trying to see some of these clubs, but tomorrow’s draw could see some clubs who’ve had greater European nights visiting Northern Ireland. It did last year. 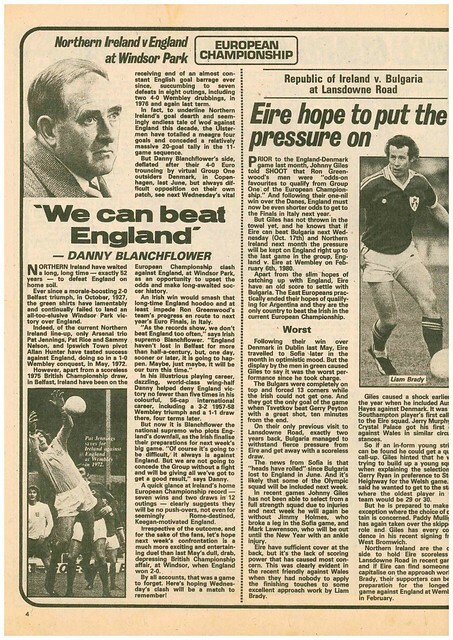 In the European Cup, Cliftonville could have a rematch with Celtic. No use to me, as i’ve already ticked Celtic off my list. Other possible opponents for Cliftonville include : Steau Bucharest, Dinamo Zagreb (already ticked off my list), Partizan Belgrade and Slovan Bratislava. Frustratingly, Red Star Belgrade won’t be in the competition due to being thrown out due to Financial Fair Play. I would have loved to have seen them in the flesh, even though they’re now a shadow of their 1991 team, the mystique remains. If they get drawn against Steau Bucharest, I might be tempted to go. If Cliftonville get through, they could potentially face Red Bull Salzburg, Malmo or Dinamo Tblisi. In the UEFA Cup, Linfield being seeded means they won’t be facing any members of the club, but there are opportunities for Crusaders and Glenavon. Crusaders or Glenavon could face IFK Gothenborg, Aberdeen or Ferencvaros. If any of the Irish League teams progress to the next round, there are no member clubs joining at that stage. 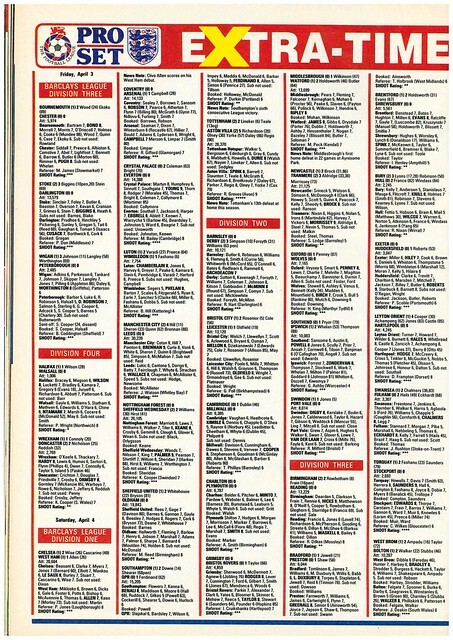 Plenty of big clubs in the 3rd Round though. This time last year, I was on 29 clubs, but I am on 31 clubs now, having added Dundee United and Everton to my list. I’ve applied for a ticket to the European Super Cup Final in Cardiff. If I get a ticket, that’ll be Sevilla ticked off the list. I’ve already got Real Madrid. 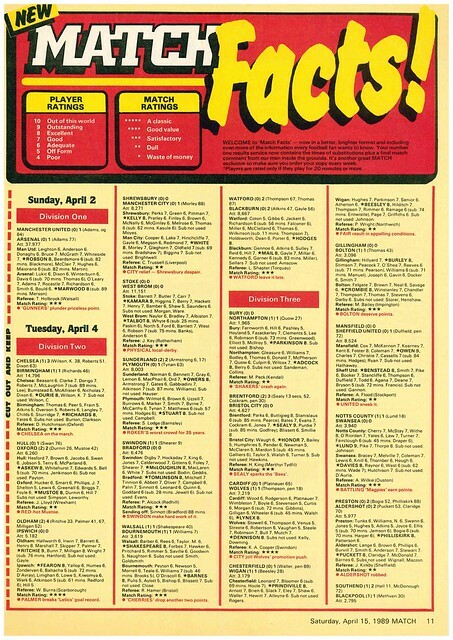 The summer of 1979 is almost upon us, but there are many things to be decided. 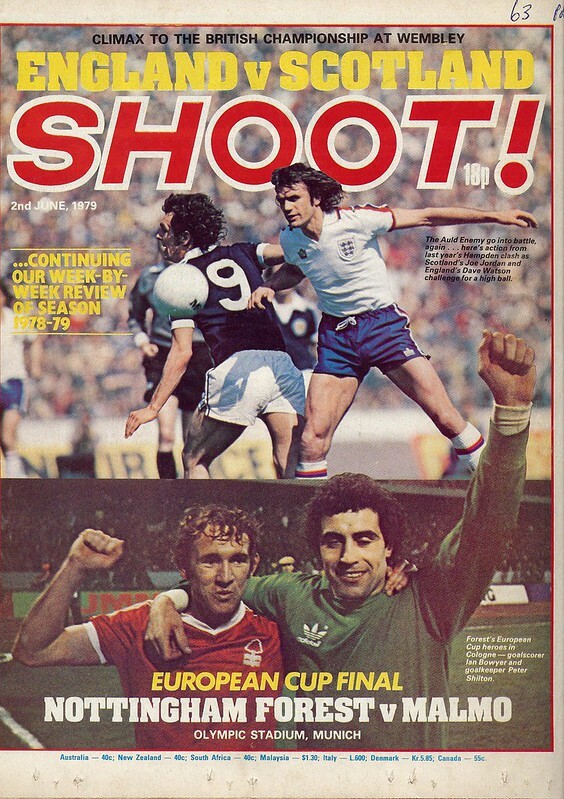 Amazingly, the Home Championship game between England and Scotland, Scotland’s first visit to Wembley since the (in)famous 1977 game, taking more coverage on the cover ahead of Nottingham Forest’s European Cup Final against Malmo. 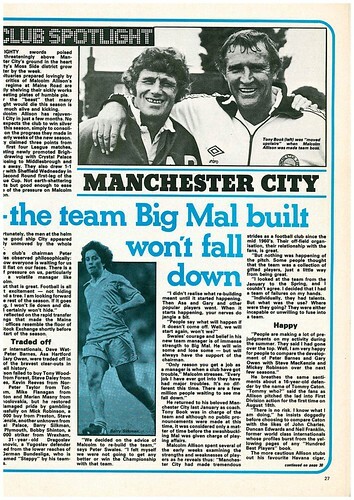 The game gets a double page spread, with Denis Law and Alan Ball talking about their memories of the fixture. 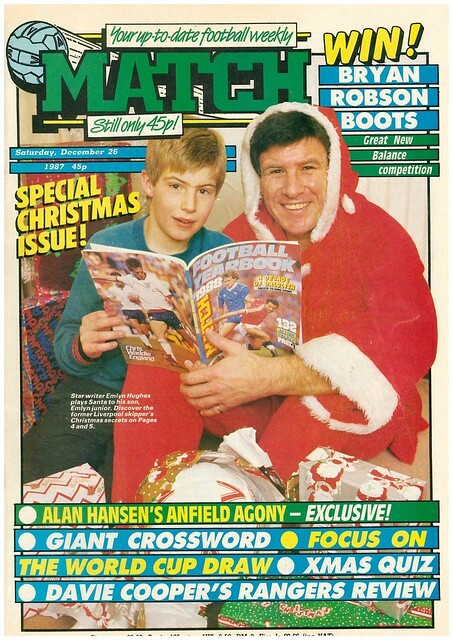 Phil Thompson gets a page to speak about his Anfield team mate and international opponent Alan Hansen, describing him as not having a weakness. 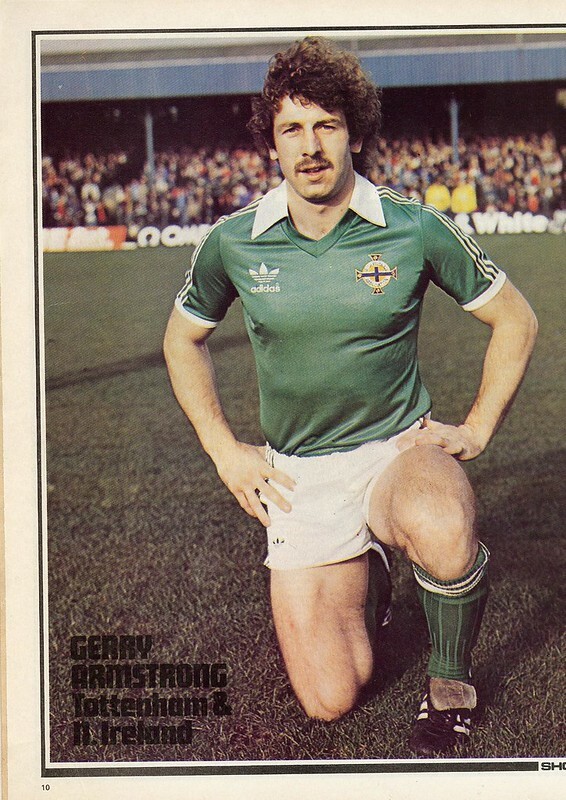 Northern Ireland and Wales aren’t left out with Gerry Armstrong and Malcolm Page both being posters, pictured in their international kits. 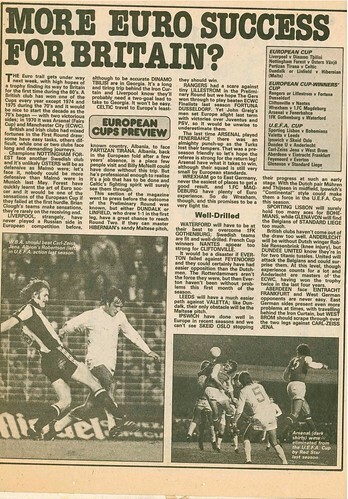 There is an advert for the following week’s edition, heavy on international football with previews of vital European Championship Qualifiers for England (v Bulgaria), Scotland (v Norway), Northern Ireland (v Denmark) and Wales (v Malta), as well as an interview with Daniel Passarella. 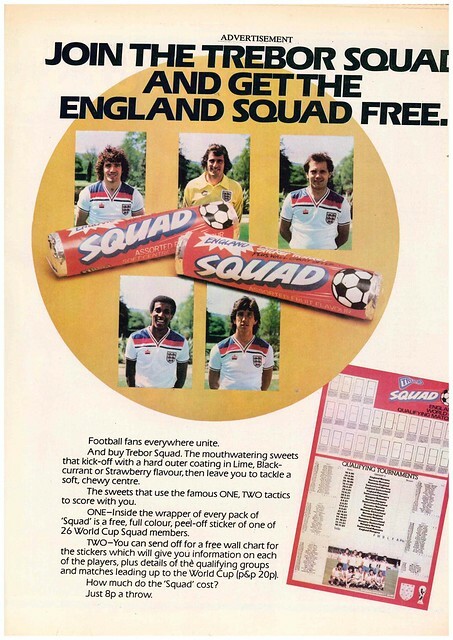 Euro 80 was the first European Championship with a pre-determined host, rather than selecting one of the four countries who won their Quarter-Finals. 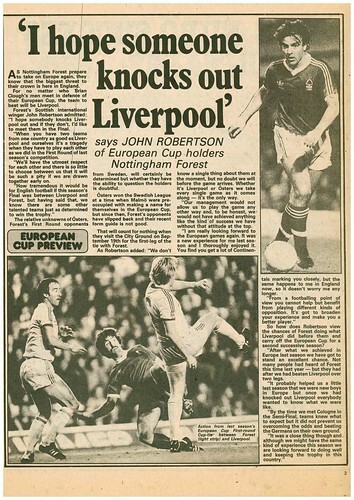 Nottingham Forest and Malmo, contesting the European Cup Final, both get a double page spread, as well as a picture collage of how both teams reached the final. Cliftonville get a mention with a short mention of Ciaran McCurry, who underline his potential with a “Near international display” in their Irish Cup Final win over Portadown. Final league table for both Northern Ireland and Republic of Ireland are published. Linfield were champions with 34 points from 22 games, 6 ahead of Glenavon in 2nd place. 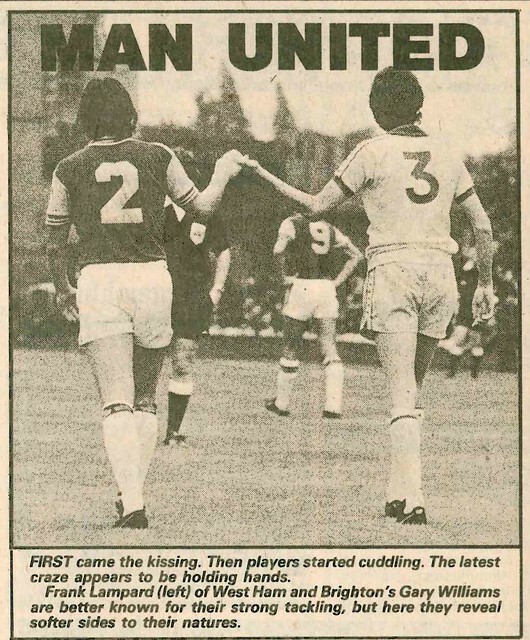 It was 2 points for a win in them days. To translate it into 3 points for a win, Linfield would have finished 9 points clear of Glenavon with 48 points. 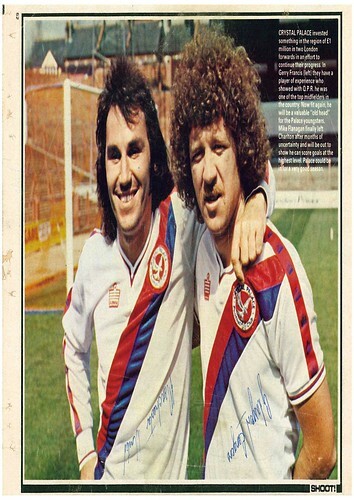 Steve Williams of Southampton is given a player profile. His favourite music is Three Degrees, Bob Dylan and Rod Stewart. If he wasn’t a footballer, he would have been a Brain Surgeon. 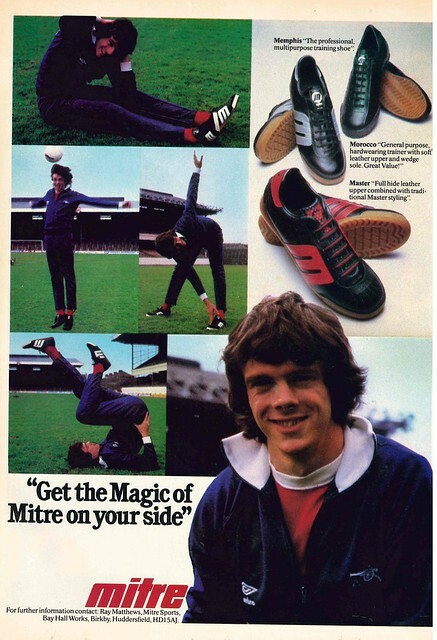 Andy Gray writes for Shoot, saying that Scotland are favourites to win at Wembley. England won the match 3-1, and claimed the Home Championship. 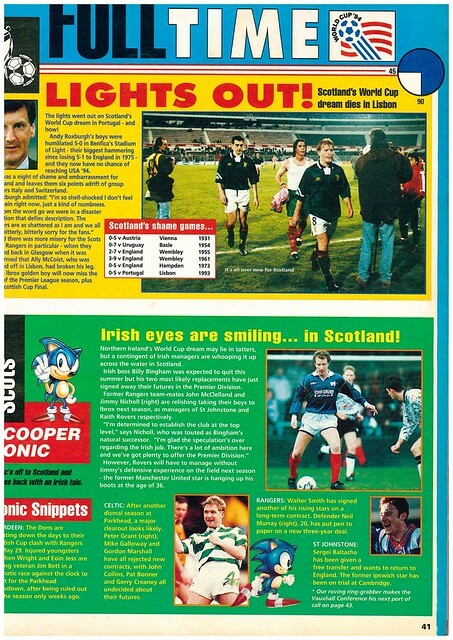 Christine Nettugh, an 18 year old Aberdeen fan writes in to complain about the Glasgow centric coverage of Scottish football in Shoot. She won 3 pounds as a prize for Letter Of The Week. The editor replies that a club like Aberdeen winning the league would be refreshing for Scottish football. Little did they know that Aberdeen’s profile would be raising in UK and European terms over the next secen years.